I read this article and found it very interesting, thought it might be something for you. 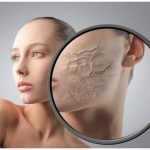 The article is called Homemade Face Mask For Dry Skin and is located at https://homemademasks.net/homemade-face-mask/homemade-face-mask-for-dry-skin/. Milk has been considered a beauty elixir since ancient times. Milk can deeply nourish and soften the skin, helps regenerate damaged cells and removes stress. Milk can also be used as a skin lotion for clogged skin. In fact you can remove make-up with a cotton ball soaked in a bit of fresh milk. Dust and dirt will be easily removed from the first treatment and if you do this as often as possible, dry skin will be only a distant memory. Give this face mask for dry skin a try and I’m sure you will be delighted with the results. Used as a body care product, milk is a perfect tonic. It balances the pH of the skin, regenerates and tones. This mask takes a bit of a planning ahead, as the orange peel needs to be left to dry for 24-48 hours. First you need to wash the oranges for the peel that you’ll use to be cleaned. Then peel them using a grater and after that leave the orange zest into a bowl to dry (takes about 24-48 hours). When the zest has dried put it in a blender and crush it until obtaining a powder. The next step is to combine the orange peel powder with an equal amount of milk and mix it until getting a paste. Apply this mask on the entire face, avoiding eye area and leave it about 30 minutes. Then gently remove it with warm water (don’t rub your face as it can irritate your skin).